This week has been fab. A lovely, restful, relaxing, lazy kind of week. It's been half-term and we've really clicked over to the holiday schedule and it's been wonderful. Slow, leisurely mornings in pyjamas, late breakfasts and casual meal times. We've watched a lot of Olympics, Little Miss is amazingly interested in it for some reason and I'm happy to go along with her. We've been so into the holiday routine and enjoyed being lazy so much I haven't even managed to get around to posting this week, so it's turned into an impromptu blog holiday too but actually I think having a total break from everything, even this blog that I enjoy so much, has done me the world of good. There has been some gentle activity this week though. The low key playing of simple games, some companionable stitching together on the sofa and plenty of indoor and out skating practise. We even managed a trip to the park when things brightened up a bit. I've been mulling over some of my leftover balls in stash to see if I can come up with a suitable second Ricicles Shawl colour combination. I'd started the version at the top of this post just to check the pattern but didn't have enough to complete a whole shawl. I liked the colours though and the idea of having a 'spring' version of this shawl appeals so I'm seeing if I can come up with something I like from the stash I already have. I'm not sure I'm completely convinced by any of my choices yet though but I'll keep playing. I've also started working on a new little something using my yarn splurge from the beginning of the year. I've been trying out a few different things and I think it's starting to take shape now. All very exciting and I'll keep you posted on how it's coming along. And there one other piece of exciting news to tell you too. I've been featured in a magazine. Coo! 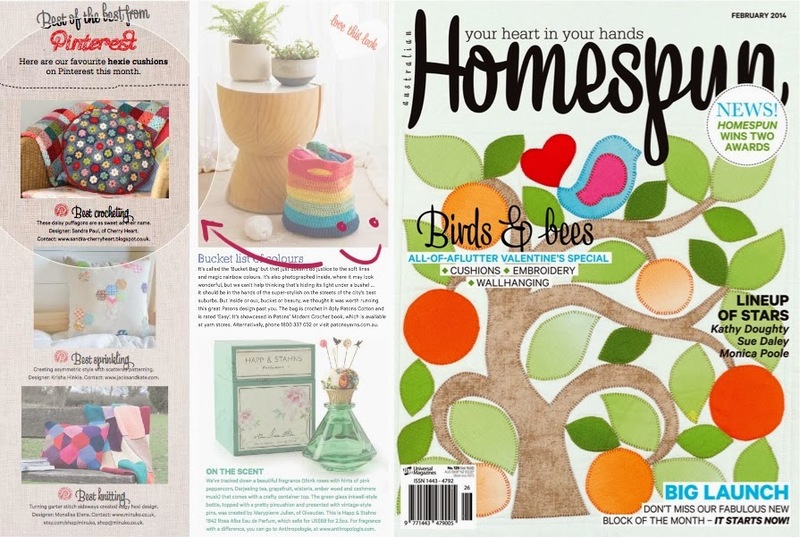 It's the Australian magazine, Homespun and they've picked out my Daisy Puffagon cushion. Isn't that cool? I'm most excited I can tell you. Well, I hope you have all had a lovely week and if half-term is something that happens to you, I hope you've had an enjoyable one as I have. I'll see you next week when I'll be back to my regular posting schedule. 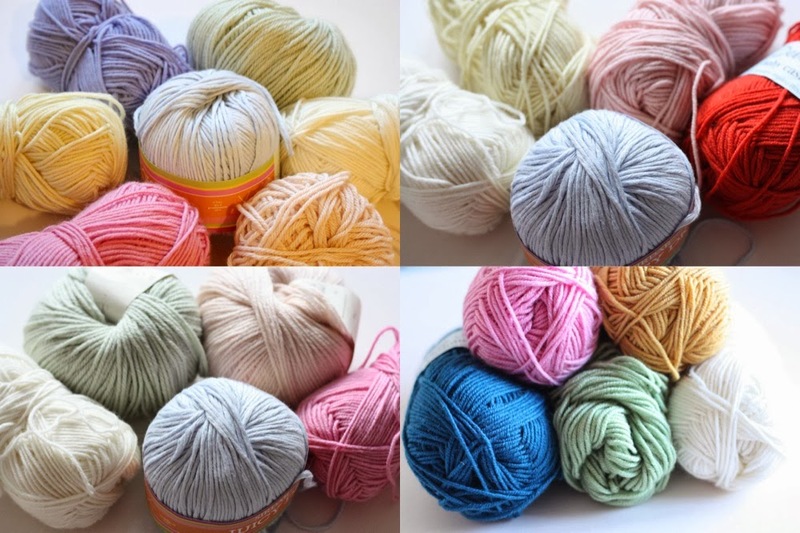 Such a shame you didn't have enough yarn to continue the shawl in the colours in the top picture - they are so perfect! I'm sure you'll come up with something just as good, though. Congratulations on the magazine feature - how exciting!!! Brilliant news on your magazine article, well done ! Glad you've had a lovely relaxing week, sometimes you need that to recharge yourself. 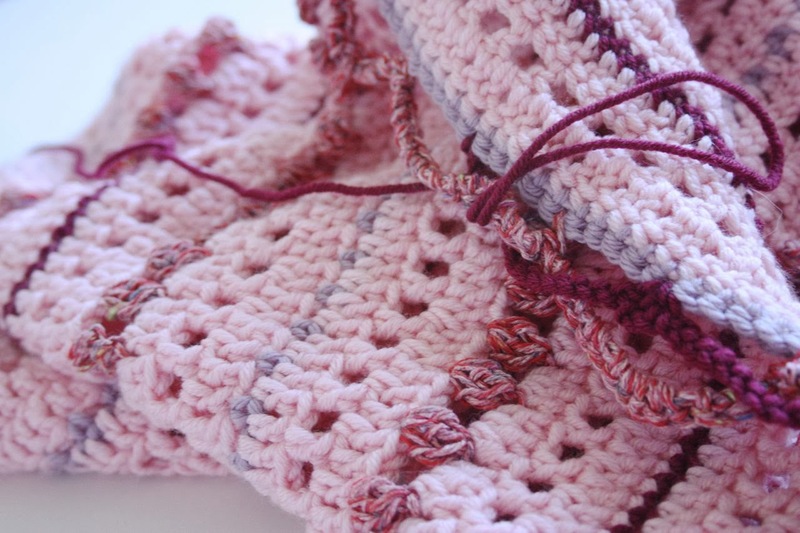 Congratulations on your magazine piece, that is exciting news and another of your lovely patterns. Hope they paid you for use of your image and information. They often don't, which is very unfair as they rely on people feeling flattered (which is fair enough but doesn't mean you shouldn't be remunerated as other contributors are, as that is what you are.) Too many magazines take advantage. 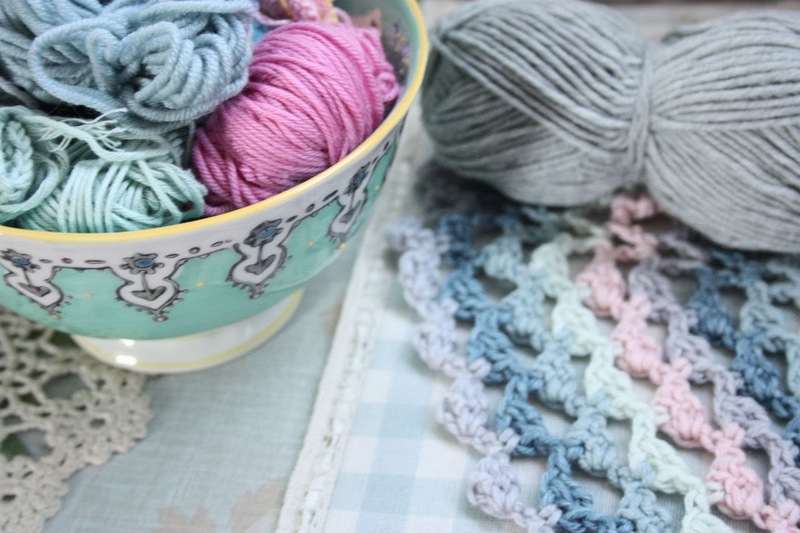 I love the soft colours of the Ricicles shawl, it would be just lovely if you continue in the same colours. It sounds as if you've been having fun with your daughter on her half-term holiday with a little change in pace. 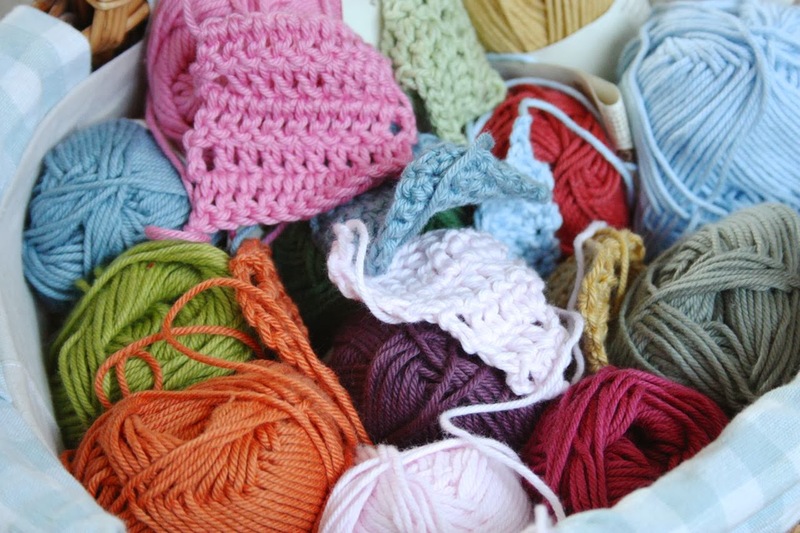 Congratulations on being featured in the Homespun magazine! our half term break has just started!!!! Congratulations for your feature!!!!! Congratulations on the magazine feature! 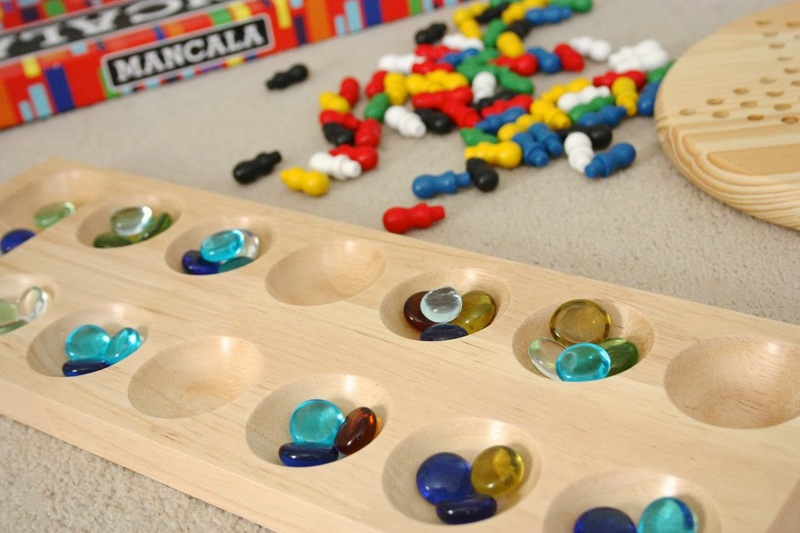 When I was a wee lass, we spent HOURS playing mancala! We have a set like yours. I should get it out again. Ooh Sandra, how exciting! I shall be sure to buy a copy! Congratulations on your magazine article Sandra, I really like your daisy puffagon cushion. Looking forward to seeing what your new 'little something' becomes. Enjoy the rest of the weekend. I'm in Australia if you want me to try to get a copy for you. Wowee! Heaps of congratulations on being published, how exciting. Such a shame not to have a hard copy of the magazine - my brother is in Sydney, I can ask him to try and find a copy to send, my love? Let me know. Just the loveliest colours in your post - all of them. Don't those delicious pinks look like strawberry mousse? Sandra, well done you! No surprise! Congratulations on the magazine! 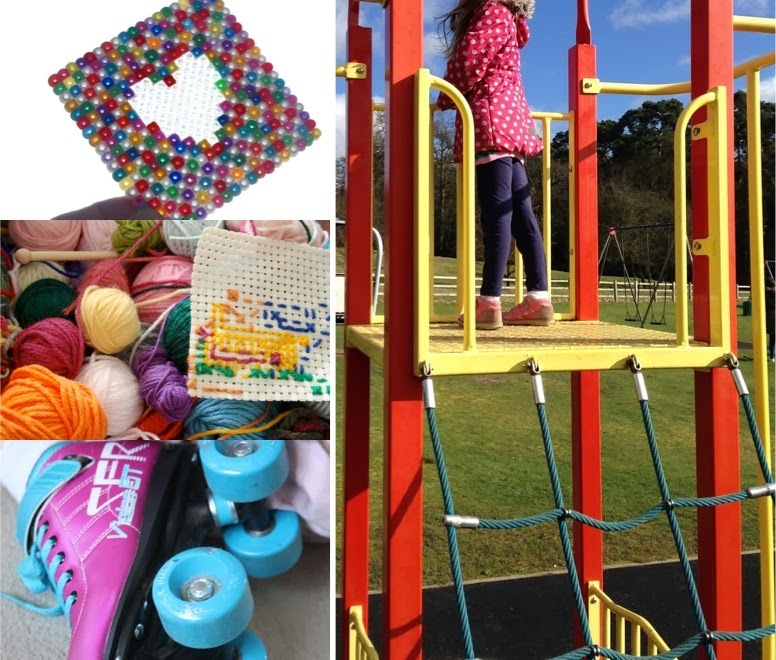 (And the lovely half-term which sounds very well spent!). I can have a look and send a copy if you haven't already made arrangements.